Due to the phenomenal success of their second location Mesa 21 in Ivanhoe Village, the Rios family have re-visited the service style at the original location, Mesa 21 Clermont and have now implemented full table service at both locations. There is still an extensive take out operation at the Clermont location, but now with clear definition for ease of customer use. 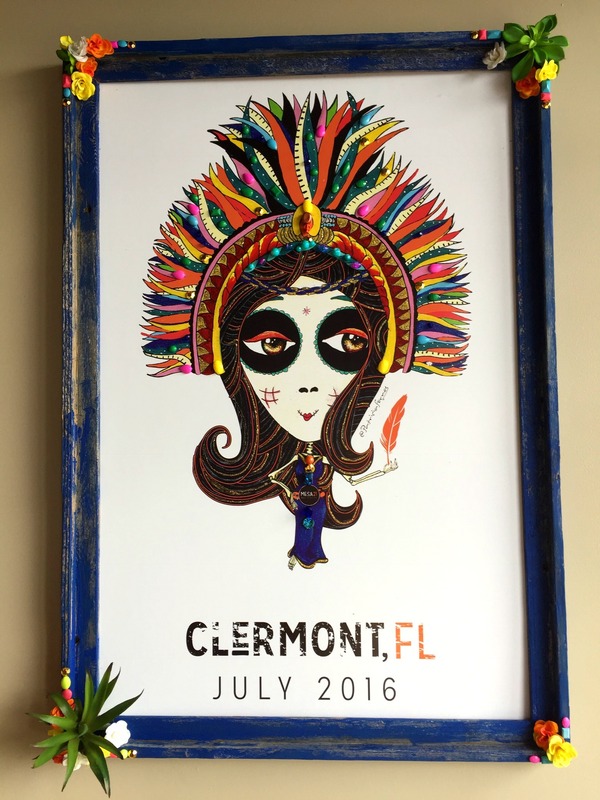 Mesa 21 Clermont closed for refurbishment just after the New Year to allow the changes to take place, adding bespoke artwork and a refreshed interior look giving it a “Real Mexican” vibe totally in line with the Mesa 21 brand. The menu has been extended and is now more similar to its sister restaurant but also adding new and exciting dishes at both locations. After spending a considerable amount of time in Mexico City, we can attest to the authenticity of Mesa 21 food, giving a “Real Taste” of Mexico with both the flavors and presentation reflecting the culture and heritage of the Rios family. One of our favorite dishes from Mexico has always been the Molcajete Mixta so we were delighted to see the Mesa 21 Molcajete added to the new menu at both locations. This dish is a lava stone bowl that incorporates a cooking technique to perfectly absorb the spices and flavors of sautéed poblano peppers, onion, salsa verde or roja. Choose from Chicken, Arrachera, Carne Asada, Shrimp, Bistek, Sirloin or Vegetable versions or you can mix and match three of your choice. Served with pico de gallo, Mexican cheese, guacamole, rice and either corn or flour tortillas. 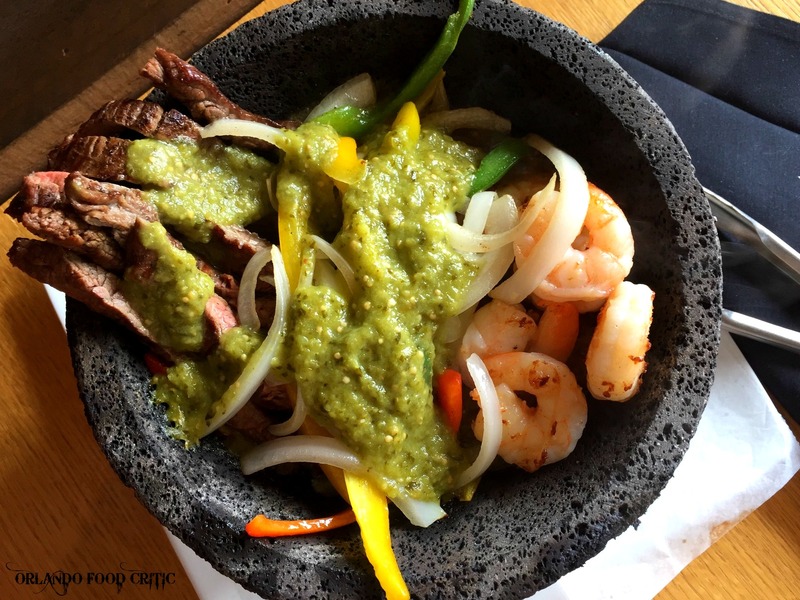 Although you will want to tuck in straight away, the heat from the Molcajete only continues to enhance the flavors to the very last bite!! 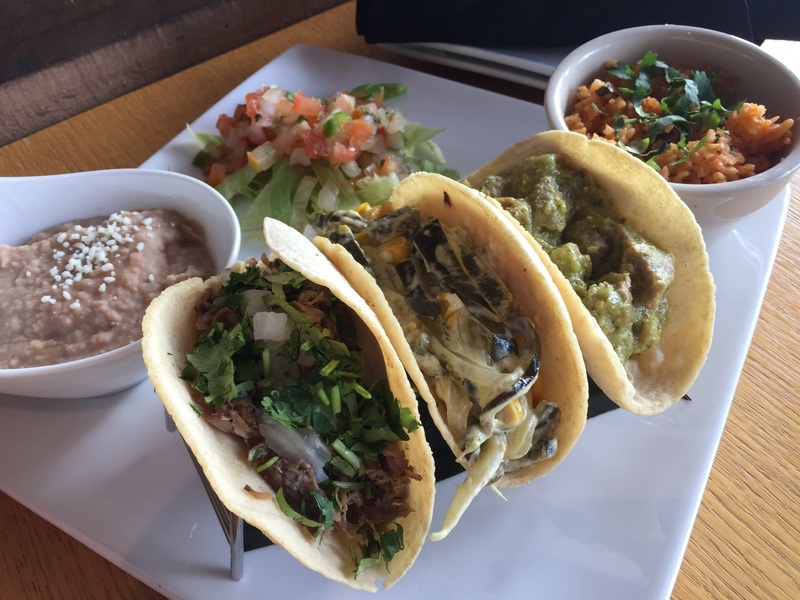 New choices of proteins have been added to the Mesa 21 Real Taco selection, our favorite being the Rajas, sautéed poblano peppers with corn and the Chicharron Verde, crispy pork belly and salsa verde. Due to popular demand they have also added Fish Tacos to the appetizers featuring Tempura battered Mahi-Mahi, chipotle mayo and guajillo dressing. Huge towers of Margarita Clasico or Beer are now available, perfect for party time, as well as some of the best Chilean wines you can buy represented by the Finis Terrae red and Isidora Sauvignon Gris from the magnificent Cousino Macul vineyards located in the Maipo Valley Chile. So, for lunch or dinner, brunch or a celebration Mesa 21 have you covered at both locations for Real Mexican food right here in central Florida.